ShurSave grocery store at the gateway to Bloomfield. Photo by Bill O'Toole. The ShurSave grocery store on Liberty Avenue, with its blinking digital sign cheerfully touting sale prices, anchors the intersection known as the gateway to Bloomfield. 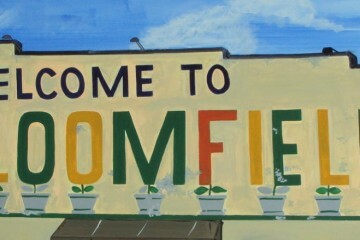 Sitting right across from the Bloomfield Bridge, it’s the familiar backdrop to the big sign that welcomes visitors to the neighborhood. But it’s also much more: The ShurSave is the only supermarket for residents in the area. With the store’s future uncertain and the neighborhood facing what may soon be a drastic overhaul of that corner, long-time residents are determined to get ahead of the curve. Last Saturday, the Bloomfield Development Corporation (BDC) held the first in a series of neighborhood forums where residents can discuss the future of development at that crucial intersection. By the end of the series, the BDC will produce a public document — shared with citizens and developers — outlining the community’s concerns and aspirations for development of that immediate area. Speaking to NEXTpittsburgh on the sidelines of last Saturday’s event, BDC Executive Director Christina Howell emphasized that the purpose of the forums is to help outline general and specific community goals that will inform redevelopment across the neighborhood. “We’re looking at the entire surrounding area,” says Howell. 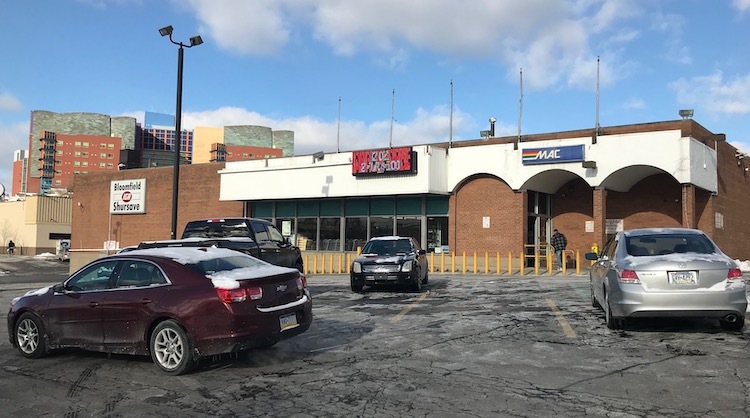 Still, she acknowledged that for many residents, the most important topic of discussion is the future of the ShurSave at 4401 Liberty Avenue near Main Street, which has proven to be one of the neighborhood’s most controversial pieces of real estate. 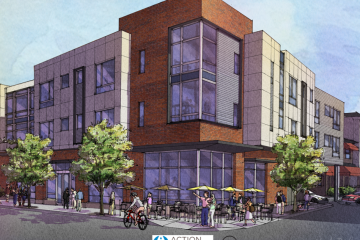 In January of last year, a proposal from Milhaus Development to purchase and build an apartment complex on the site was met with wide community opposition and sparked broader conversations about rising rents and economic displacement. The area’s only grocery store is now for sale. Photo by Bill O’Toole. Milhaus eventually dropped their option on the site late last year. But the property is still on the market for $6.75 million, and the underlying economic anxieties remain. While her organization has no information about future plans for the site, Howell says she knows the owner is eager to sell and expects a new developer to be announced within the next several months. Mark Davis, the long-time owner of the building, could not be reached for comment on Monday. The forums are organized by the BDC in collaboration with Studio for Spatial Practice and ACTION-Housing. The next meeting will be held on Saturday, Feb. 23, with sessions at 10 a.m. and 2 p.m.